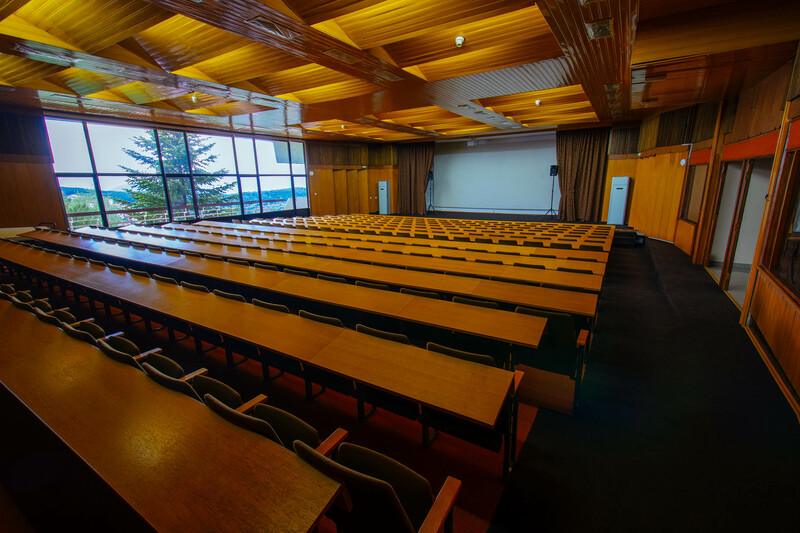 Our congress hall can accommodate large groups for public events. You can have up to 330 people seating in this area. Seating is fixed and there is no room for modification. The stage is large enough for multiple activities. The stage has a private area where you can store equipment in the background. It is close to our hotel pub, where you can easily organize the coffee breaks. Heating is built so that it is as quiet as possible, but always there. We also have most of the equipment needed for audio - visual support of the events. Part of the equipment we have includes video projector, sound system, video converter, wireless microphones. Another feature of our business wing is our separate office that comes along when you rent this congress hall. It is a practical big office that you can use to store all of your materials and equipment for the event. You can also use it as a private area where you can gather your team and organize the event. This congress hall has been used very often for events transmitted live over the Internet. Besides the AC WiFi coverage there is a wired connection possibility backstage, for uninterrupted transmission. Download and upload speeds are 200 Mbit/s, which is more than enough for such activity. If you need to organize a large gathering in a peaceful environment, you are at the right location. This congress hall is designed for such events. Our congress hall is the perfect place for presentations of this kind. There is a large stage, and every visitor has a good view towards the stage. We also possess necessary visual equipment to support such presentation. 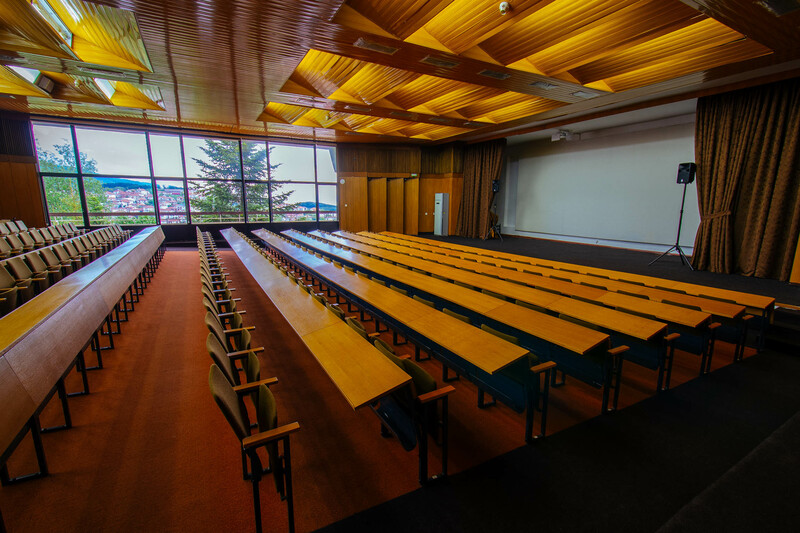 The congress hall is designed for perfect acoustics. However you arrange your instruments and speakers, you will have your visitors completely enjoying the produced sound. 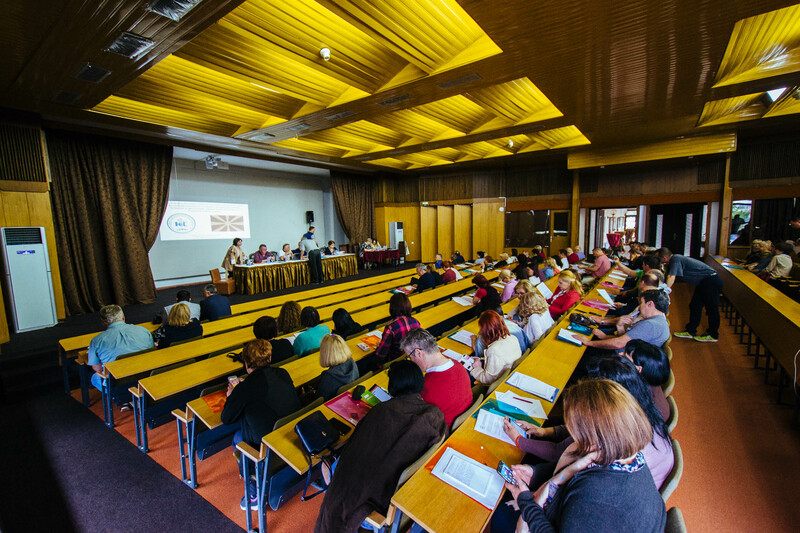 If you need to organize a large educational event, there is no better environment than our congress hall. It is located in a quiet environment where you and your guests can focus on what matters.